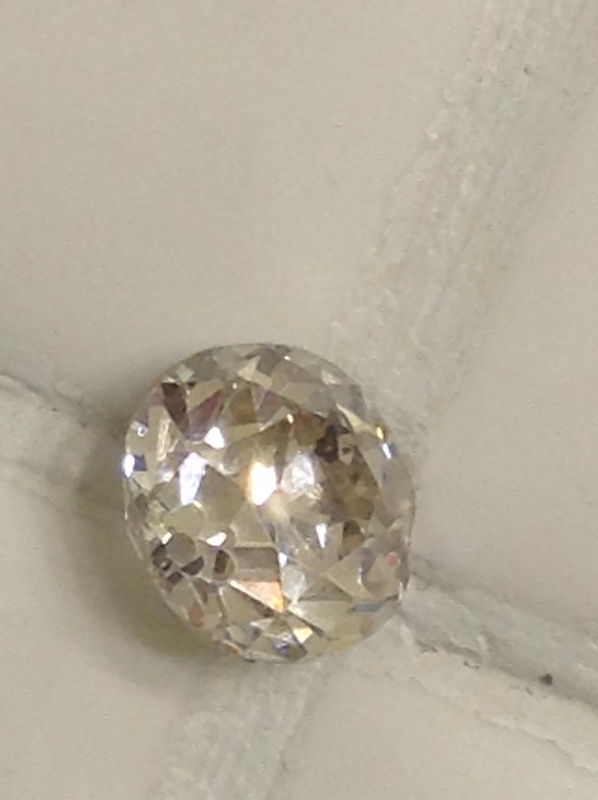 This is a loose diamond. The cut is "Old European". Though this diamond's rating is I2 it is much closer to a an I1. It has only several visible black carbon spots. It has no visible fissures, feathers, lines or cracks. 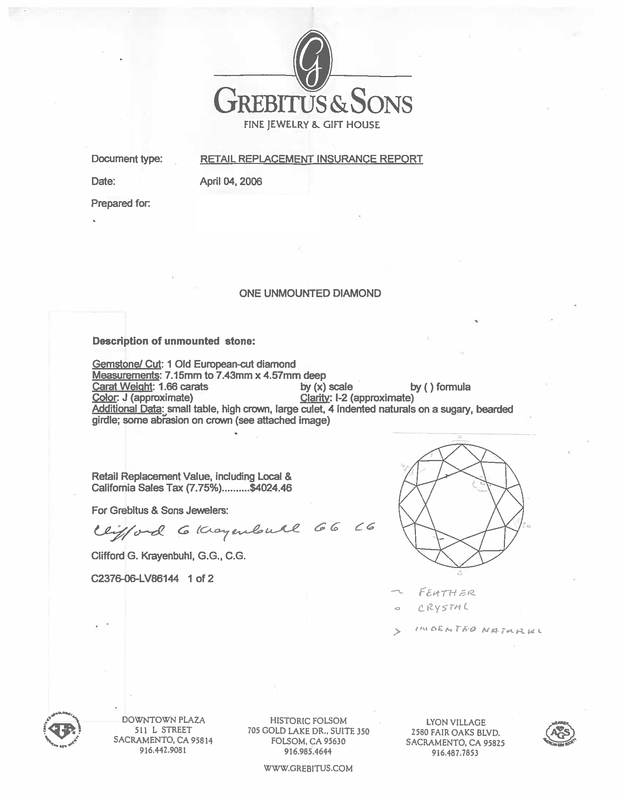 I have a 2006 jewelers appraisal valuing this diamond at $4024. 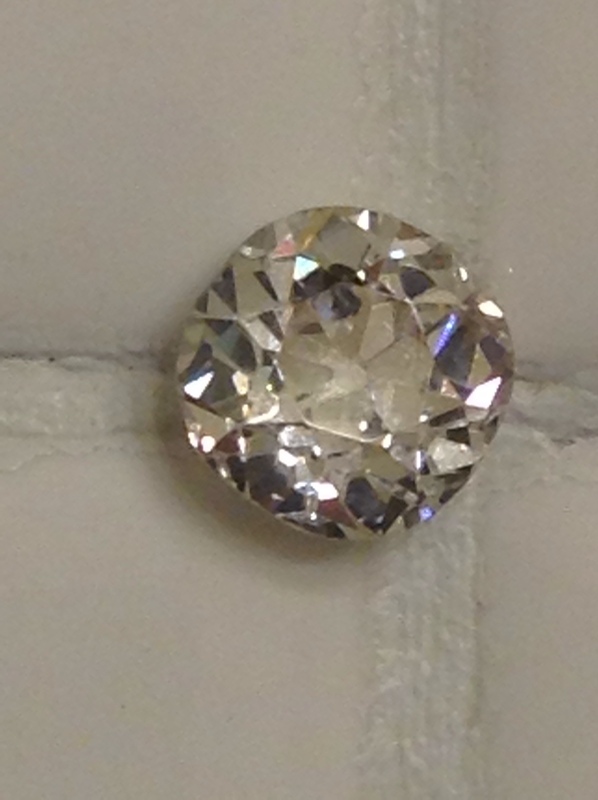 There are many similar sized diamonds on the James Allen site rated I1 which have more numerous and larger visible inclusions. 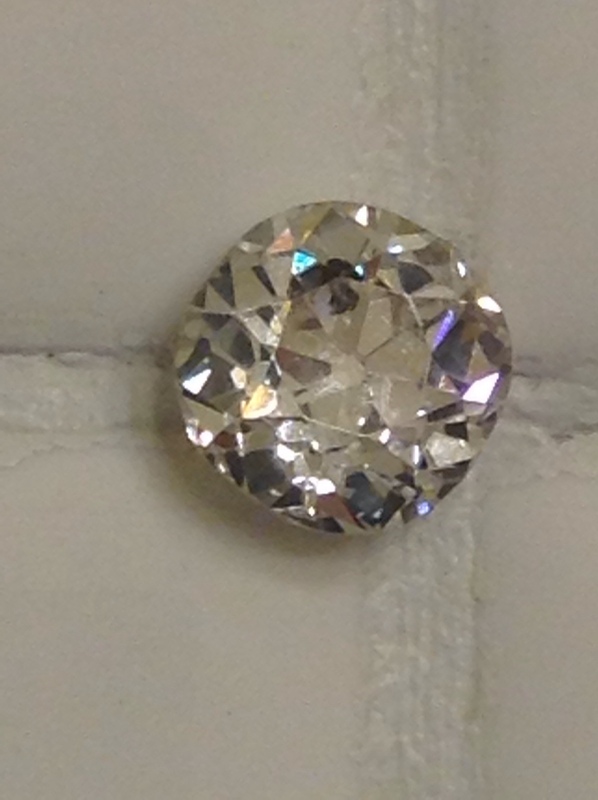 This is a very beautiful diamond and a good value for a stone this size. This diamond belonged to a relative and was passed on to me. I need to sell it.